Web.com, 3 Million customers and only one site to show for it. Web.com is on television rather frequently. Often with promises of “Helping your business succeed online.” Not to mention that all too alluring “Get a custom built website from the experts at Web.com for FREE!” Who can argue with free right? At the same time you have people giving their testimonials. Which is where I come into all of this. Recently I was emailed by one of their customers who showed me their invoices. I can’t say I have not been interested in their operation. No I never entertained the idea of trying them. From the websites I have seen displayed on television everything looked cookie cutter. But I have never really gotten a look at their work. Despite testimonials they don’t show websites. Its not like Web.com does not have time or the customers under their belts for posting websites that are well worth show casing. Web.com states” Web.com has 30 years of experience helping over 3 million small businesses succeed online.”. Which begs the question, when was the internet first available to the public? The first website was created in 1991. 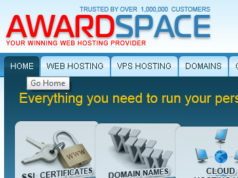 However 1998 web.com appeared to be doing something other than webhosting. 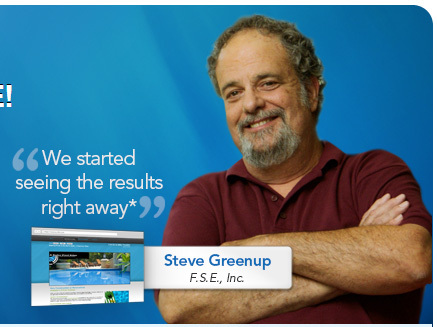 Searching for “Steve Greensup F.S.E. Inc.,” I don’t find a conclusive site. The site I found does not match the one that Web.com has in this graphic. But fsesd.com seems to fit the bill as there is a “Powered by web.com / Register.com” on the bottom. I think the site looked better before web.com got to it. It took a bit, but I found the domains for these 4 customers that gave glowing testimonials for web.com. The first three sites are no longer active. Search engine results by name and company did not take me directly to the first two asaferpooledge.net and loaveaffair.com. But Archive.org confirms that the Web.com logo was on the bottom of both sites. The third cle-lkiving.com was a bit more tricky as all I could find was a profile page with lationcleveland.com and a Facebook page. The last site is active, Maliburealestatetoday.com. Maliburealestatetoday.com gives me a chance to see what web.com does, and personally I would have picked a different customer to show case. There is too much wasted space at the top of the site. Plus take it from someone that has spent the last three years looking for a house. The Property search is not user friendly. While I can enter in criteria, I can’t sort the results and I only can get 5 listings per page. The page rank is 1. Search engine results are even worse. I have to wonder what a web.com television ad might do for customer whose site address is actually shown. When it comes to golf (or any sport really) I am by far no expert. Personally I find golf boring. Yet there is a whole channel on Directv dedicated to just golf. No matter how unentertaining I find golf, it is a huge market. When I watched web.com’s recent commercial with Jim Furyk something caught my eye. I have dealt with many Facebook pages and what I saw on a 80 inch screen stuck out like a sore thumb. The top part of the picture is the actual Facebook page which was not easy to find as I thought it would be. The Bottom part is a doctored up Facebook page that was show cased in the commercial. From what I can see there was nothing about the site being enhanced or anything. But the advertisement clearly lists 43,145 likes versus the reality of 309 yesterday and 311 today. 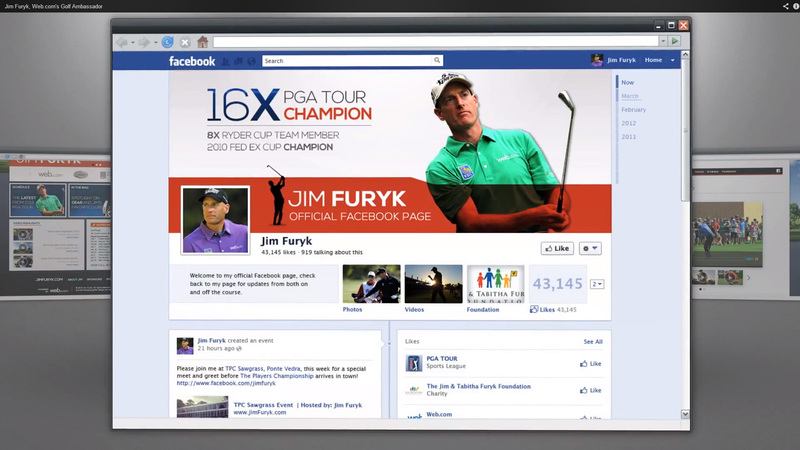 There is no videos or foundation tabs on Jim Furyk’s Facebook page. What interested me about the Facebook page that web.com showed was it had no thumbs up by the number of likes. 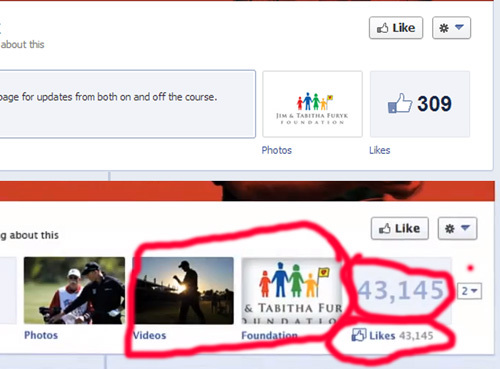 Below on the left is a snap shot of the real Facebook page for Jimfuryk.com, on the bottom right the fake. They can be clicked on for a better view. When I search for Jim Furyk I get the following results. 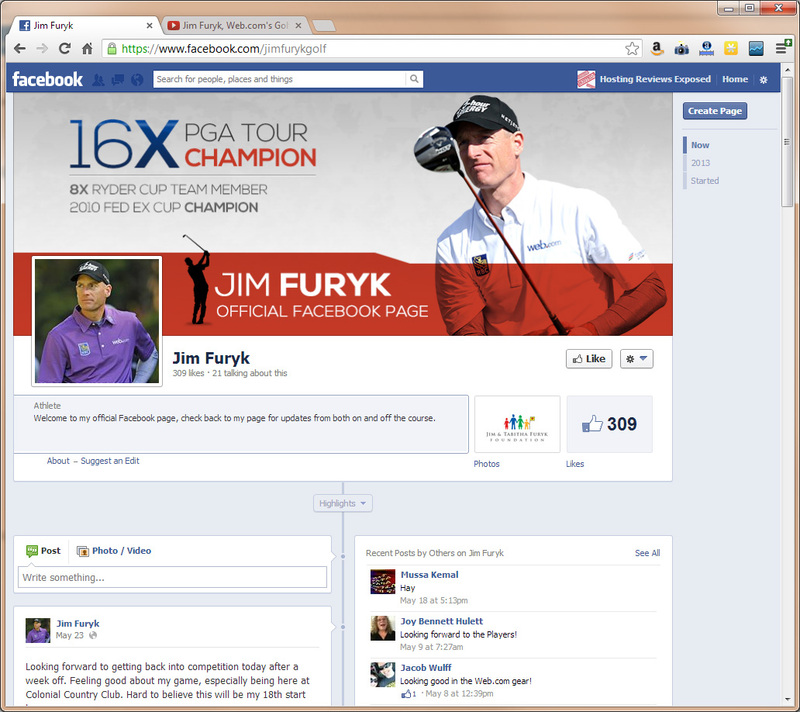 Jim Furyk has a page made by a fan that could easily be tapped into to bring in more likes. I am more than certain if asked, the page operator would be all too happy to send fans to the official fan page. Frankly whomever generated the fan page looks like they would be better at managing the Facebook page than web.com. When I first looked at Jim Furyk’s site, at first glance I missed the Facebook page link as it blended in with the header graphic and not a traditional blue and white that Facebook comes in. 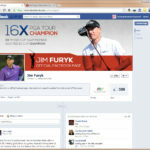 Perhaps if Web.com had done more than just Facebook for social media for Jim Furyk than I would have noticed it sooner. According to this link http://www.ispot.tv/ad/7ZE7/web-com-golf, the golf ad has ran 116 times. 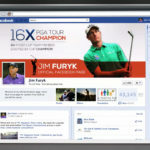 Maybe if web.com actually showed the direct link and corrected the Facebook link they could improve the likes for Jimfuryk.com. Keep in mind web.com charges $189.95 for their Facebook package. I will be keeping an eye on the progress of jimfuryk.com under web.com’s handling.